Greener Pup Beds were rated a top holiday pick by Rachael Ray, People, Ok!, Woman's Day, Paw Nation & Country Living gift guides! She has really good taste." 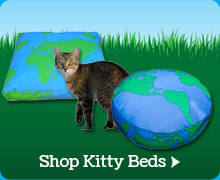 Greener Pup dog beds are made in the U.S. and the filling is made from 100% recycled plastic. We're saving 70-120 plastic bottles from being dumped into our landfills! 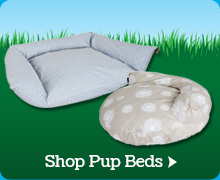 These soft, durable fillers in our pet dog beds are breathable, hypo-allergenic and won't attract insects. 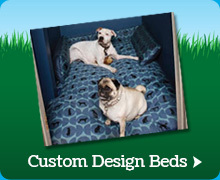 All of our dog beds come with one FREE removable, washable cover in your choice of recycled fabrics. 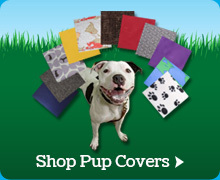 You can also purchase an additional cover to further customize your dog's bed. Your Greener Pup purchase not only helps the environment, 100% of ALL Greener Pup profits goes straight to the Ace of Hearts Foundation. Ace of Hearts is dedicated to rescuing dogs the day they are scheduled to be euthanized and finding them permanent, loving homes. Rescue dogs receive 25% off purchases at Greener Pup!